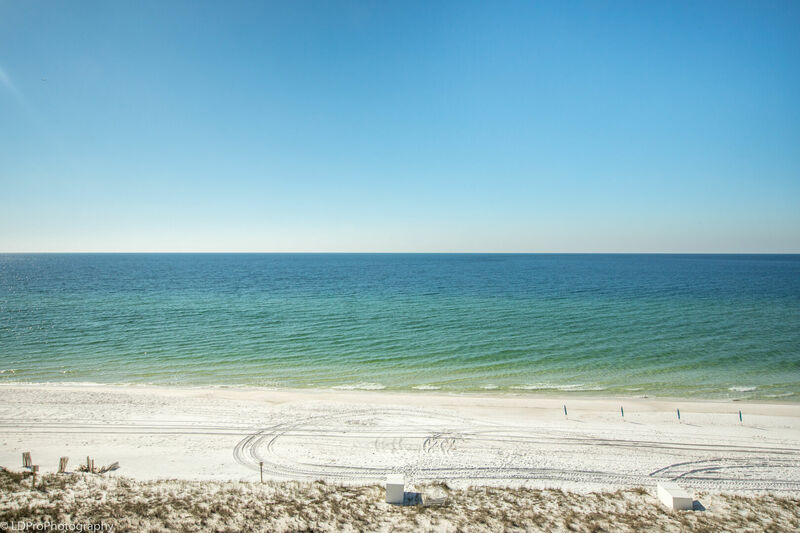 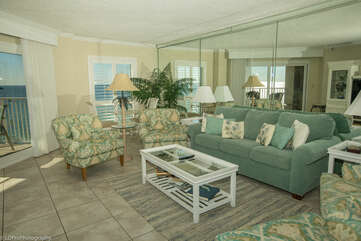 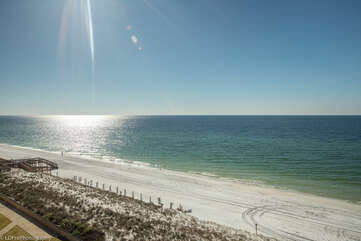 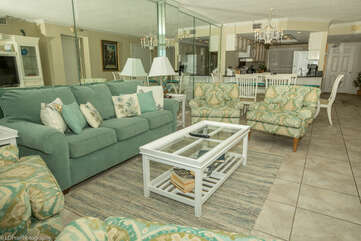 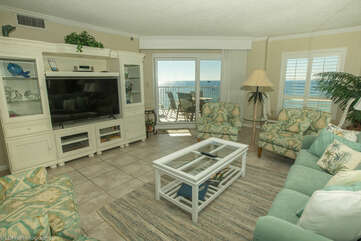 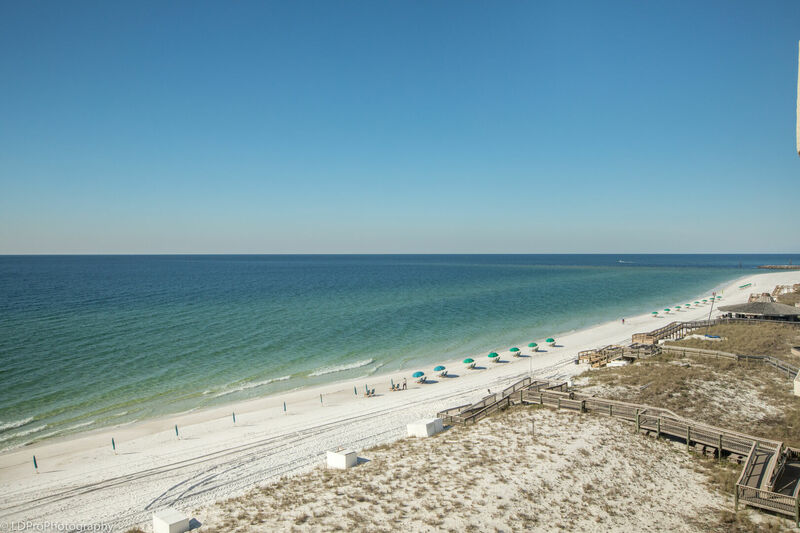 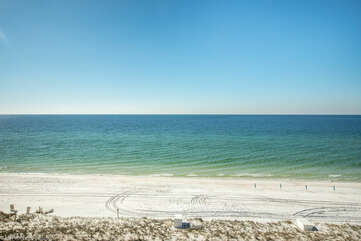 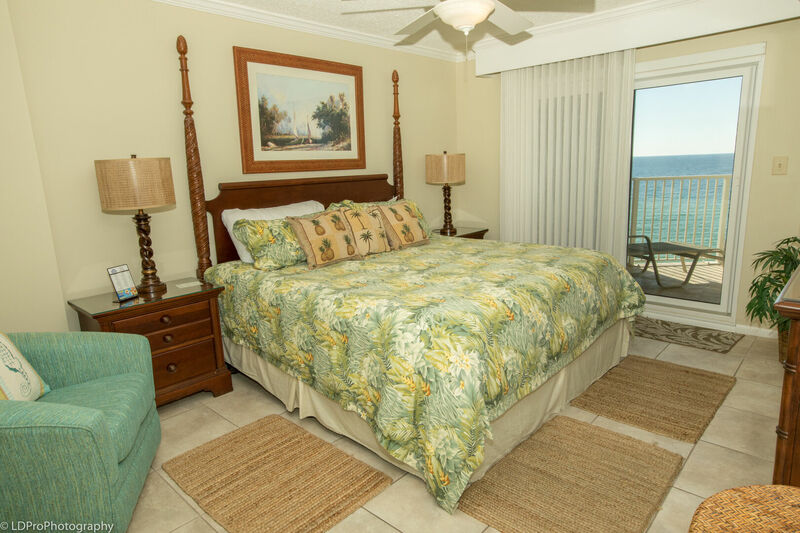 If you expect nothing less than the best for your Destin vacation, you must have a look at this stunning two bedroom, two bathroom beach front condo at Inlet Reef, room 606. 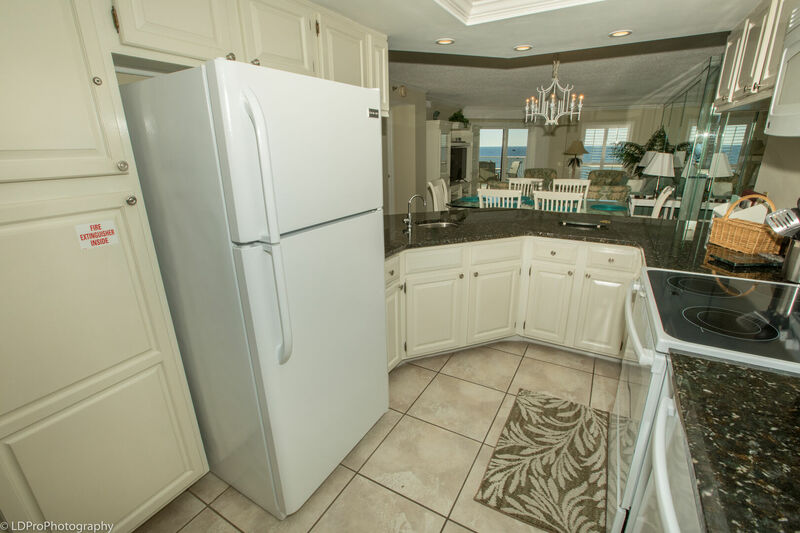 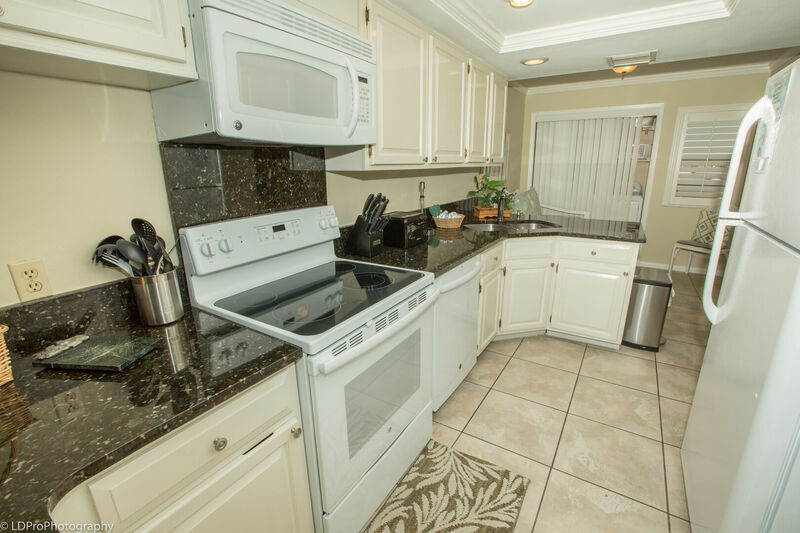 The large Kitchen has a plethora of granite counter space, and comes with all the full size appliances, pots, pans, dishware, and silverware needed to prepare your favorite meal. The Dining Area is located next to the Kitchen, and features a grand table set for six. 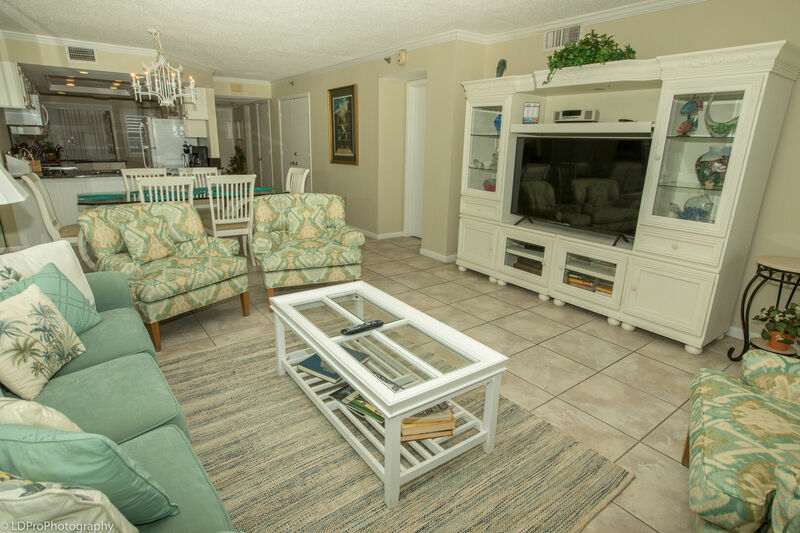 The Living Room has all the comfortable seating you’d need, with four plush chairs, a couch, and a table for two that overlooks the Gulf of Mexico.The Living Room also comes with a big screen HDTV, digital cable, a DVD player, a Bose stereo, and Balcony Access. 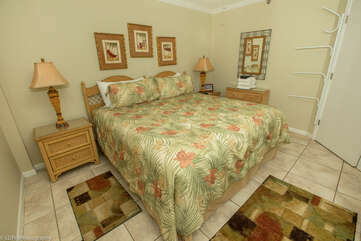 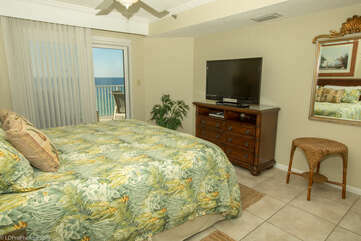 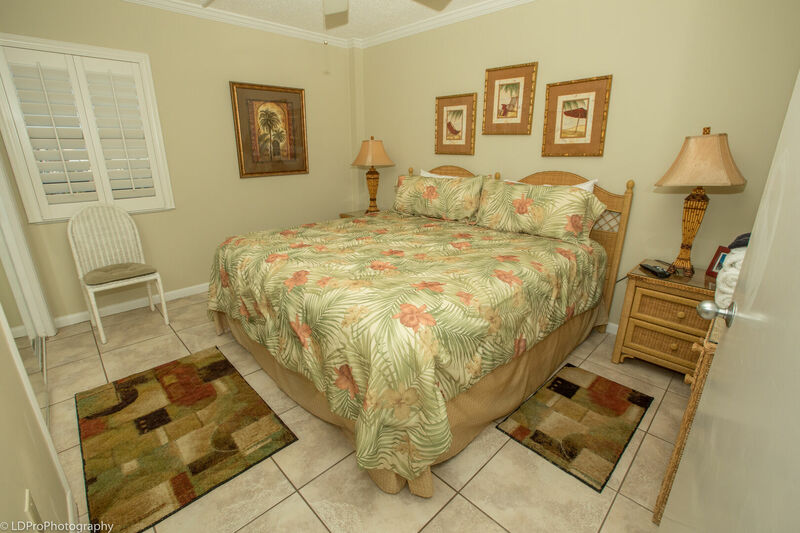 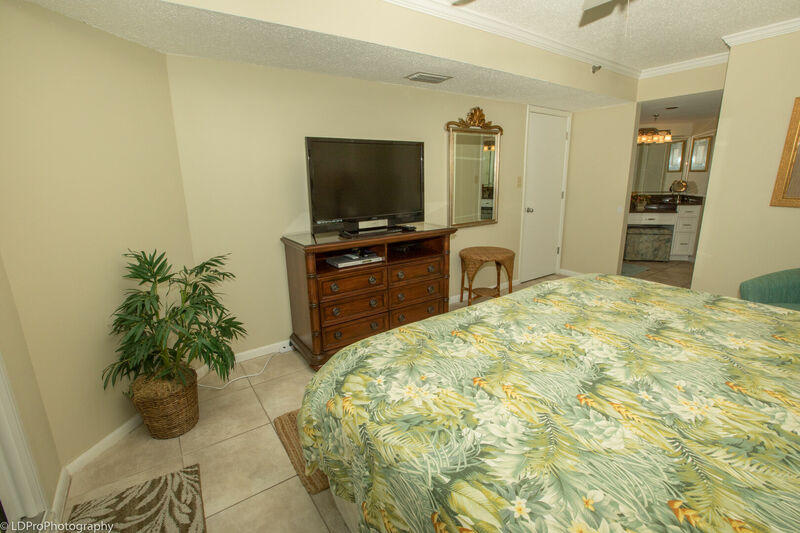 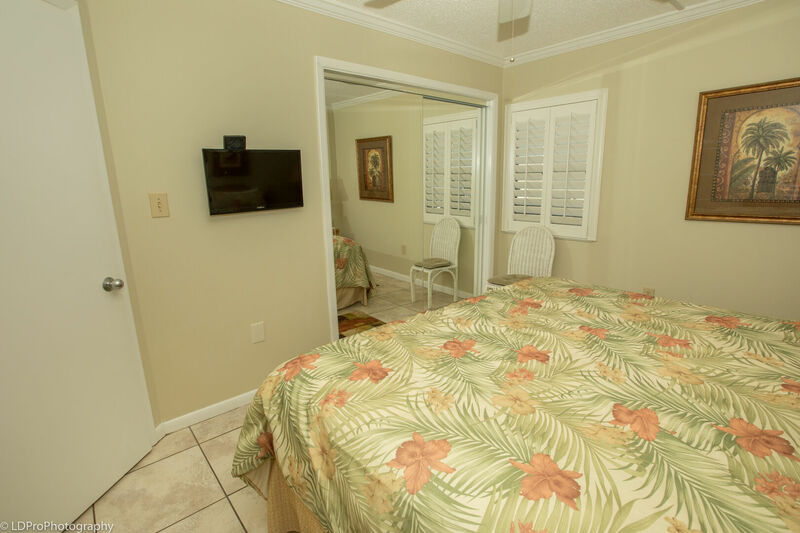 The Master Bedroom has a large King bed, a comfortable chair, a flat screen HDTV, a DVD player, and balcony access. 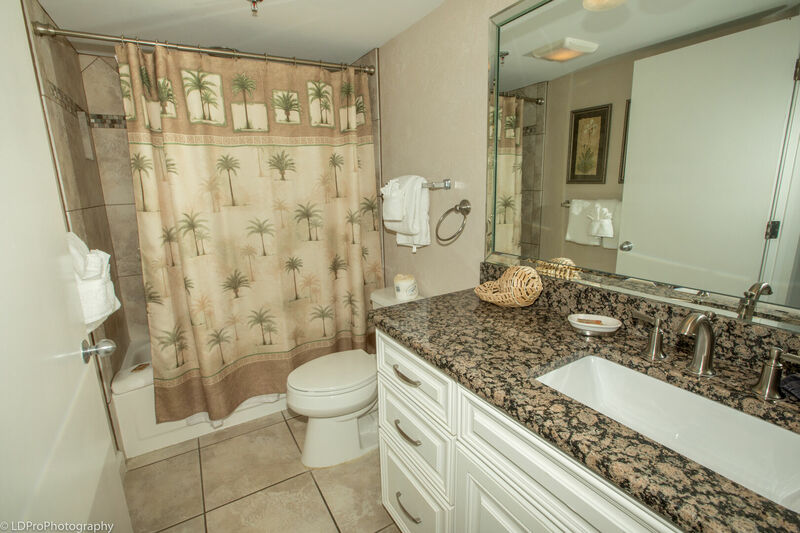 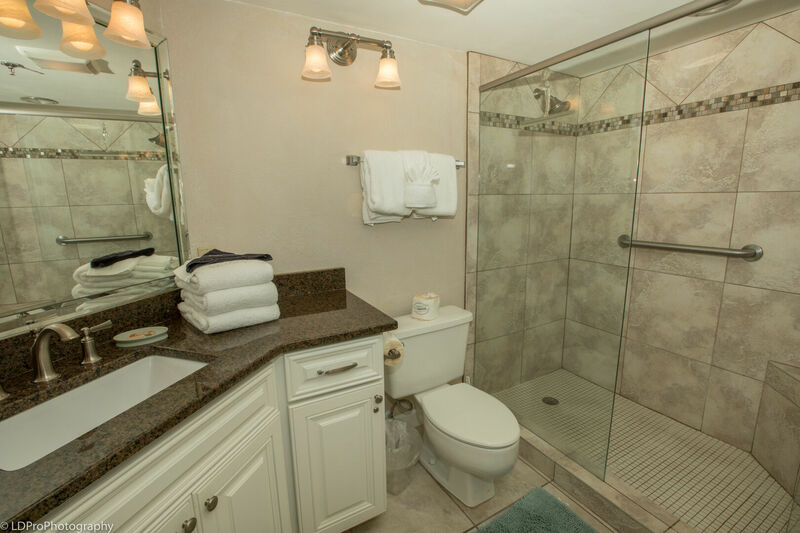 The Master bathroom has two separate vanities and a makeup area, all encased in granite, and a large walk-in shower. The Guest bedroom has a King bed and a wall mounted flat screen HDTV. 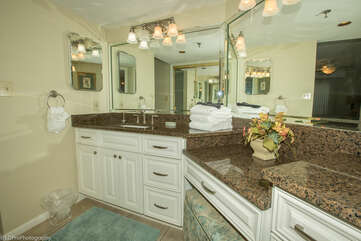 The Guest Bathroom has a vanity encased in granite and a bathtub/shower combination. Adjacent to the kitchen is a bonus area that comes with a day bed and a trundle and a table set for two. The bedding in this condo allows six guests to sleep comfortably, without the need for a Sofa Sleeper. 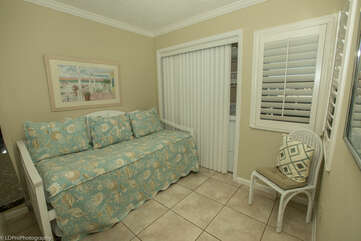 Even though this condo is so tastefully and beautifully adorned on the inside, the best part is the outside balcony. Hexagonal in shape, the balcony comes with a wet bar, a dining table and chairs, and jaw dropping 180 degree views of the Gulf of Mexico. 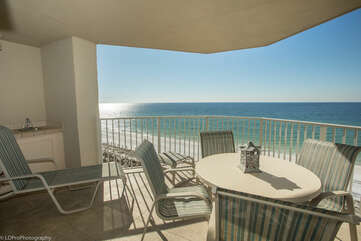 You can see endlessly from the balcony, and it is truly a sight to behold. 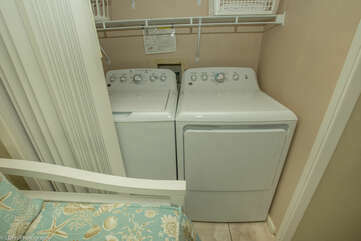 Other amenities include a full size washer and dryer and complimentary high speed wireless internet access. This brilliant property never goes unbooked, so if you have the chance, take it, you’ll get a kick out of 606! Condo comes with Free Beach Service during season...two beach chairs and one umbrella! 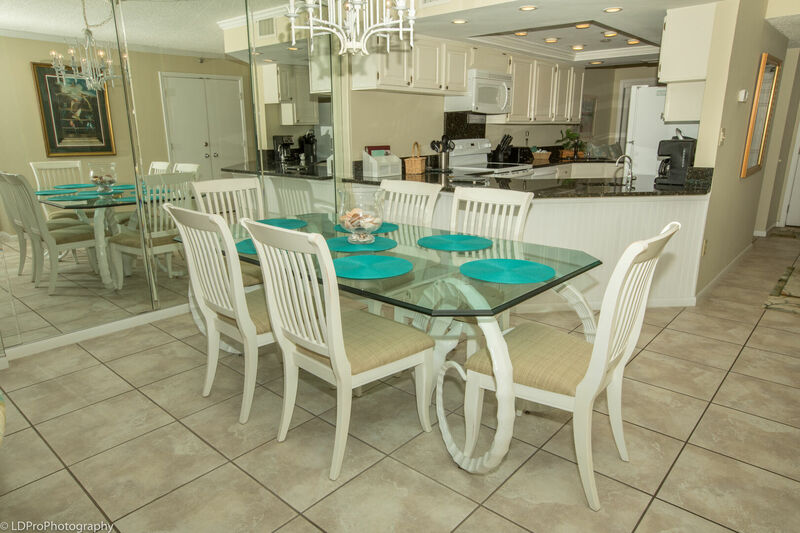 Thank you for making your condo available for our family to rent. 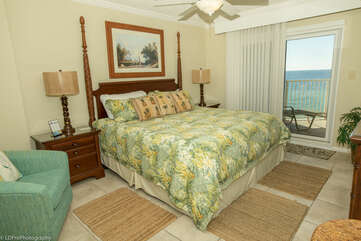 We had a wonderful stay! 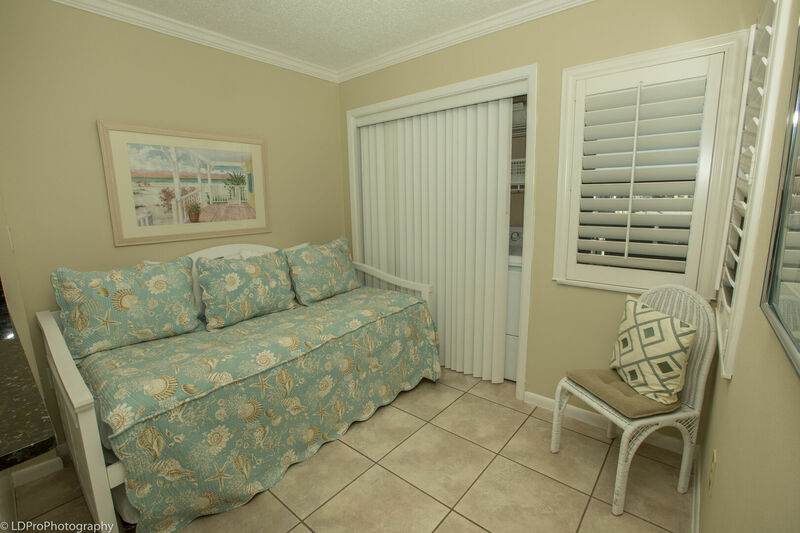 We especially loved the patio shade most of day and the sleep number bed was every bit as comfortable as my iComfort at home. 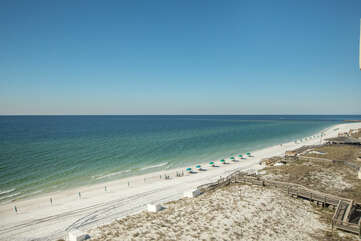 Umbrella beach service was awesome too!